You don’t have to be an environmental warrior to use 321 Water – a water bottle with its own filter. You just have to like the taste of clean, fresh water. 321 Water is an all Australian brand of water bottle produced here in Australia and the brainchild of a young Australian company. It comes complete with its own filter disc, which significantly reduces, chlorine, bad tastes and odours. 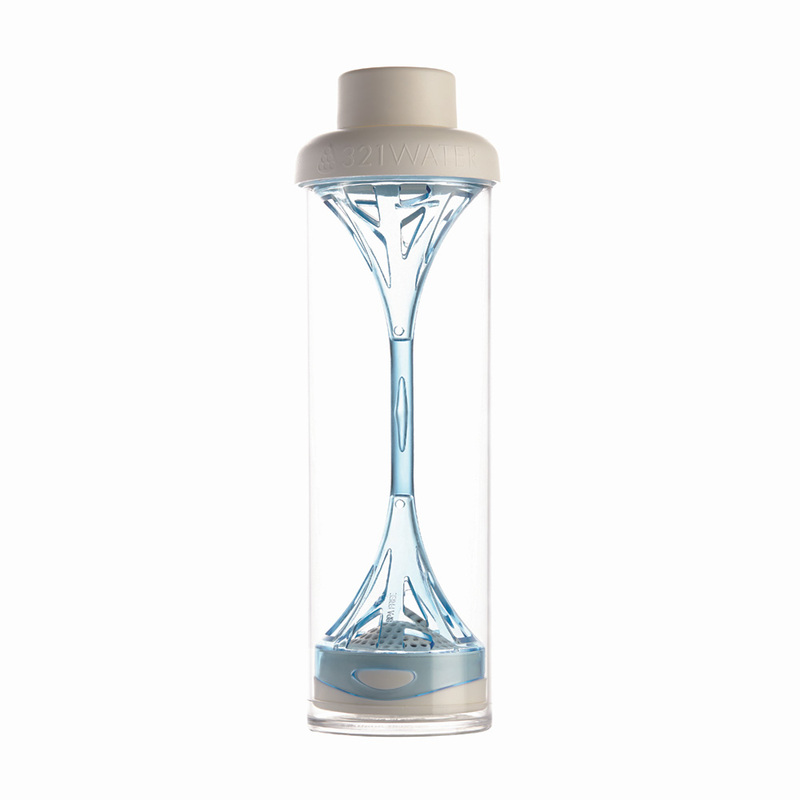 The reusable 500ml water bottle also has a unique patented filter tree plunger mechanism. Simply fill with water from the tap, then plunge with one smooth movement to create freshly filtered and great tasting water. 321 Water is the brainchild of a group of young Australians, who’ve vowed that all their products will be ethically produced here, which is admirable. You don’t have to be an environmental warrior but make your bottle of water be a force for good with 321 Water. Made in Australia by an all-Australian company. Crafted from BPA-free durable, recycled materials. Comes with its own filter disc which will produce 65 litres of filtered water over 125 uses. Comes with a unique, patented tree plunger operation. Presented in a 321 Uppercup recycled box .